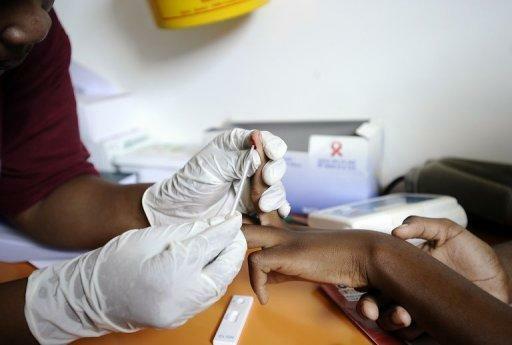 South Africa, home to the highest number of HIV cases in the world, should see a massive reduction by the end of the decade after a sea-change in government policy, a UNAIDS official said Thursday. "It now has more people with HIV infections than any country in the world, with 5.6 million. That is because a lack of political commitment before," said Sheila Tlou, UNAIDS regional director for East and Southern Africa. "However there is a turnaround in the new government under President (Jacob) Zuma which is committed," in its fight against HIV and AIDS, she said. "By 2020 there will be massive reductions in South Africa." 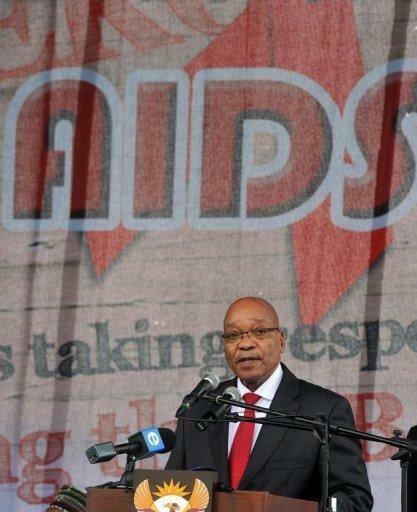 Zuma, who has dramatically expanded South Africa's AIDS treatment programme since taking office in 2009, last month unveiled a plan to halve the number of HIV infections over the next five years. The five-year plan is the first drafted since the 2008 ouster of president Thabo Mbeki and his health minister Manto Tshabalala-Msimang, known as Dr Beetroot for advocating vegetables rather medication to treat AIDS. Tlou said East and Southern Africa was known as "the centre of the epidemic" because of the 34 million people living with HIV in the world, almost three quarters live in that region. "One of our targets is to reduce new infections by 50 percent," by 2015 she told a press conference in Geneva. But Tlou noted that recent reductions in the commitment of the Global Fund to Fight AIDS, Tuberculosis and Malaria which assists UNAIDS could have a negative impact on the fight against the disease. "There has been quite a lot of progress since 1997 with a 25 percent reduction in new infections in our region," said Tlou, a nursing professor and a former Botswana minister of health based in Johannesburg. Steve Kraus, UNAIDS director for Asia and the Pacific, said important progress has been made in big countries such as China, India and Indonesia and in smaller countries such as Fiji and Samoa. Kraus said China has adopted a policy of zero tolerance to HIV. This was later adopted by the 10 ASEAN nations. "China is increasingly funding its national response (to HIV) and added $1 billion in 2011. Thailand is another country doing this," he said. Asked about the veracity of Chinese data, Kraus said, "In China the data is a lot batter today than yesterday,"adding that improving is a constant process. "It is like searching for the holy grail to keep improving."